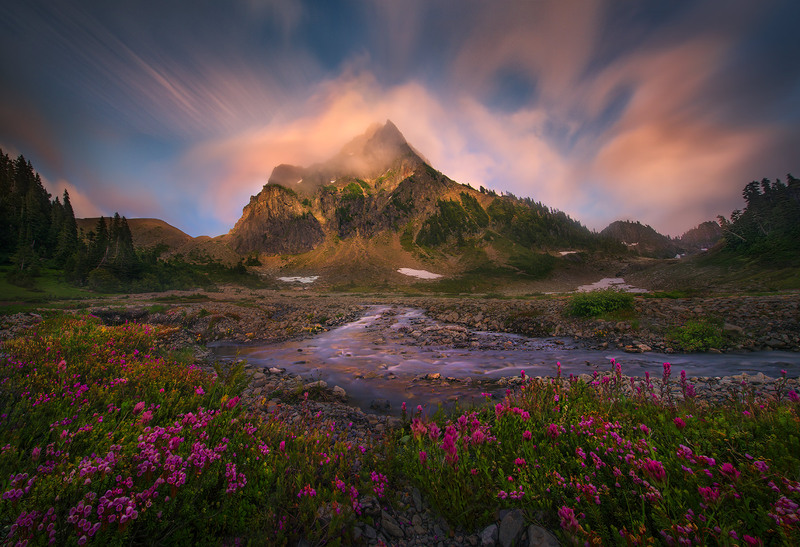 A view from one of the most remote wilderness places in the lower-48, this high park catches some beautiful sunset colors. . Photo © copyright by Marc Adamus.